EE 4G UK – details on coverage, phones, prices, speeds for the 4GEE network | What Hi-Fi? EE has launched the UK's first 4G mobile network, called 4GEE, allowing for on average five times faster mobile network browsing speeds than 3G. This has since beem joined by new O2 4G and Vodafone 4G networks which launched back in August. Where can you get EE 4G in the UK? The EE 4G network is now live in 141 places in the UK. The most recent additions to the network from 4th December are Bath, Bournemouth, Cambridge, Darlington, Newcastle-under-Lyme, Northampton, Poole, Portsmouth and Redcar. EE plans to be in 160 towns and cities by the end of 2013. EE now offers a range of new tariffs, including pay as you go. Pay monthly plans will be available from £18.99 for 24 months. Combined pay monthly and home broadband bundles are also available, with up to 20GB of extra 4G data being granted, when bought in conjunction with home broadband. EE is also testing 4G speeds of up to 300Mbps in London. Existing customers can also get a boost to their contract by upgrading their plan, after which they will receive double the allotted speed and a date allowance boost of double ore more. 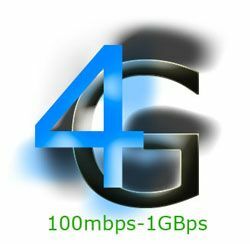 If you want to get on 4GEE, the UK's first 4G network, you have to choose from the following 4G LTE handsets: Apple iPhone 5, BlackBerry Z10, Blackberry Q10, Blackberry Q5, HTC One, HTC 8X, HTC 8S, HTC One SV LTE, HTC One XL, Huawei Ascend P1 LTE, Nokia Lumia 920 LTE, Nokia Lumia 820 LTE, Nokia Lumia 1020, Samsung Galaxy S3 LTE, Samsung Galaxy Note II LTE, Samsung Galaxy S4, Samsung Galaxy S4 Mini, Sony Xperia SP, Sony Xperia Z and the Sony Xperia Z Ultra. The Huawei P1 Ascend LTE and Blackberry Q5 LTE are exclusive to EE. See more details on EE's 4G phones on the EE website. EE has announced that double speed 4GEE is available in 20 towns and cities across the UK, offering fastest possible speeds of 120 Mbps, making it "the fastest mobile network in the world". Birmingham, Bristol, Cardiff, Edinburgh, Glasgow, Leeds, Liverpool, London, Manchester and Sheffield are 10 of the cities to get the 4G LTE speed increase. EE claims the average 4G speed for customers in these cities will double to around 25-30Mbps, with headline speeds of 120 Mbps. For now, the 4GEE network offers speeds 'typically five times faster than 3G'. EE says the average 4G download speed will be 8-12 Mbit/s (with potential maximum speeds of 40 Mbit/s). This is five times faster than the average UK 3G speed, which sits at 1.5 Mbit/s according to the latest data from Ofcom. Our tests have shown that speeds of around 20 Mbit/s are achievable at the moment on the 4GEE network, though these are expected to slow down in busier areas and when more people join the new network. The EE 4G network is now live in 141 cities, covering more than 60% of the UK population. If you want to check for coverage in your area, you can use the Coverage Checker on the EE website. This will tell you not only if you have 4G but how strong the signal should be. 4G coverage from EE is promising to expand by 2,000 square miles every month, both into new cities as well as providing denser coverage in existing areas. EE's 4G network aims to cover over 90% of the population by the end of 2014 as well as offering up fibre broadband internet to millions households, including those in rural areaas without access to strong mobile data signals. EE has now announced its first shared 4GEE plans alliowing up to five users or devices across the same plan, with one bill and one data allowance. All the 4GEE phone plans include free unlimited calls and texts, with prices varying on the amount of data you require. There's no unlimited data plan, however. There are also SIM-only deals, should you already have bought a compatible 4G phone from Orange or T-Mobile or have an iPhone 5 bought from Apple, Carphone Warehouse or Phones4U. They are offered on either a 30 day rolling contract or a 12 month basis. There is a £5 upgrade option in order to use your unlimited calls and texts in selected foreign countries and avoid roaming charges, while tethering the internet connection from your phone is free as standard. The Apple iPad Air and iPad Mini are also available on the EE 4G network, though the prices are a little eye-watering. The entry-level 4G prices for iPad Air and iPad Mini are below. EE has also launched a superfast fibre broadband network alongside the 4G LTE network, bringing faster broadband speeds to up 11 million homes and promising download speeds of up to 76Mbps. Plans start from £15/month and you can get a £5 discount on your 4GEE phone bill if you take EE Fibre Broadband, too. EE also offers EE Film, a film streaming and download service starting at 79p per film and with users given one free film a week. You can watch on your mobile or on your TV or computer, with a clever option to pause on one device and continue where you left off on another. What's more, EE is offering owners of an iPhone 4S, Samsung Galaxy S3 and HTC One X the chance to switch to a 4G LTE version of their phone and to an EE 4GEE contract for a fee of £99. The UK's first 4G network will launch on October 30th 2012, operator EE has confirmed. Superfast 4G mobile speeds will launch in 10 cities on October 30th, with 16 cities and around a third of the UK population set to be given access to the 4G network by the end of the year. You can see a map of EE 4G coverage on the EE website. Olaf Swantee, CEO of EE, formerly Everything Everywhere, announced the date in a statemement this morning. "“We are delighted to announce that the official launch of our new customer brand, EE, offering the UK’s first superfast mobile 4G and fibre broadband service, will take place on the 30th October 2012," he said. “This is a significant milestone for the United Kingdom, and for the people and businesses of our country who will now be able to enjoy the huge advantages of superfast 4G technology for the first time. The iPhone 5 is among a handful of 4G phones that will work in the UK on the new EE 4G network. Also compatible is the Samsung Galaxy S3 LTE, the HTC One XL, the Nokia Lumia 820, Nokia Lumia 920 and the Huawei Ascend P1. The Samsung Galaxy Note 2 LTE will also be available from October 15th. The iPhone 5 has been launched and EE has confirmed that it will only get superfast 4G browsing on the new 4GEE network from EE. The UK's first and currently only 4G network, from the company formerly known as Everything Everywhere, is today stating that the iPhone 5 will "only be superfast" on 4GEE. So it looks like if you want to make the most of the 4G iPhone then you will need to be on the 4GEE network from EE. Pocket-lint has confirmed that customers buying the new iPhone 5 will have to first sign up with Orange or T-Mobile, the companies behind EE, as the new 4G EE network won't be ready in time for the iPhone 5 launch on the 21st September. Customers will then be migrated across to the new 4GEE network from EE when it goes live. Orange has also purchased a share in the 4G network in the UK that is compatible with the new iPhone 5, so Orange is expected to offer the iPhone 5 with a 4G contract at some point in the future. O2 and Vodafone however look to have been frozen out, with the planned Ofcom auction of the 4G network not set to include the right bandwidth frequency to work on the iPhone 5.